At 200 metres above ground, the boat-shaped Sands SkyPark is one of a few places to get a bird's-eye view of Singapore. 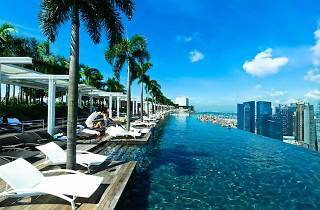 Designed by architect Moshe Safdie, it took three months to lift up to the 57th storey, where it now sits prettily atop three hotel towers. Outsiders can buy a $6 hotdog and $4 soda – the only food available so far – while taking in the unfettered view from the Observation Deck. 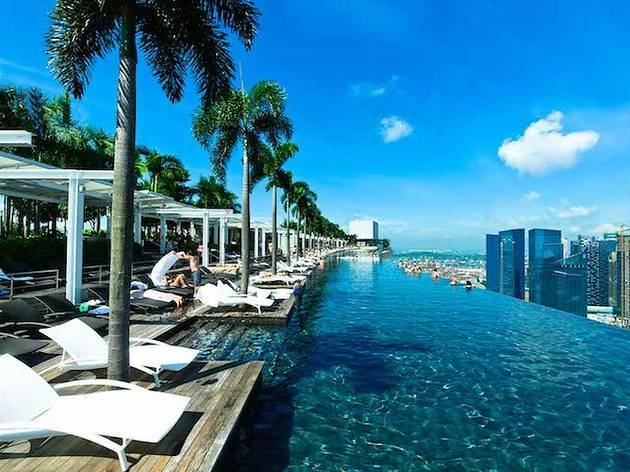 You can also check out the infinity pool, but no dipping please, that's for hotel guests only. Adults $20, senior citizen $17, children $14.